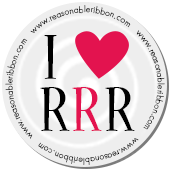 Now, on to our winner who will receive the May Ribbon Club Assortment from Really Reasonable Ribbon. I can't believe I won! I emailed my info - thanks so much!